A few days back, the AAP had demanded a judicial probe into the killing of 15 Maoists who were gunned down by security forces on August 6 in Chhattisgarh. Congress lawmaker claimed that 15 innocent villagers were killed in Bastar. Congress MLA Kawasi Lakhma on Sunday claimed that 15 innocent villagers were killed in the recent crackdown on Naxals by the security forces and not 15 Naxals. "Claims made by government aren't completely correct. Naxals killed in Andhra, Telangana, and Maharashtra are top leaders. But in Bastar, where they killed 15 Naxals, actually innocent villagers were killed. It's what the BJP does, they're enemies of tribal people," he told ANI. Mr Lakhma further said that a Congress delegation will visit the encounter site for investigation in the coming days. However, BJP state spokesperson Sanjay Shrivastava hit back at the Congress MLA and said that the latter's statement rendered the sacrifice of the jawans killed in such operations. "It is unfortunate that whenever security forces launch big operations against Naxals, Congress leaders issue such statements. With this statement of his, Kawasi Lakhma has rendered the lives of our martyred jawans and their sacrifice, as futile," he said. Mr Shrivastava further claimed that the Congress never supported the government to eliminate Naxalism. "We are here since 2003, before which Congress was in power. Whenever any incident takes place, their statements are only against the jawans. We are developing Bastar and those Naxals causing trouble there are frustrated. Congress has never supported the government over Naxalism issue. Whenever any terrorist or Naxal is killed in the country, they tend to raise questions over it," he said. 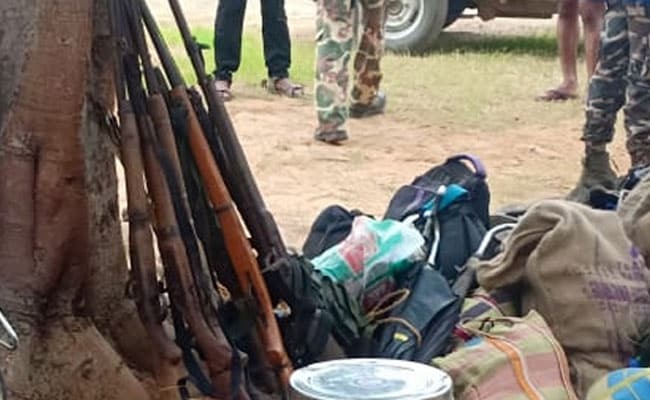 A few days back, the Aam Aadmi Party (AAP) had demanded a judicial probe into the killing of 15 Maoists who were gunned down by security forces on August 6 in Chhattisgarh's Sukma district. Addressing a press conference earlier this week, AAP's State Secretary Uttam Jaiswal accused the police of killing innocent farmers in the name of terrorists and constituted a team to probe the matter. In the incident, 15 Naxals were killed and four apprehended. Apart from the Maoists gunned down, an area committee member (ACM) with a cash reward of Rs 5 lakh was arrested along with a female Naxal.